UPSR Exam is around the corner and teachers are busy finding every UPSR question paper available to prepare their students. Here is the good news ! 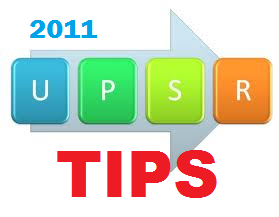 We have many latest 2011 state negeri trial or percubaan pra UPSR Question Papers for you. Please click the UPSR section above or here.